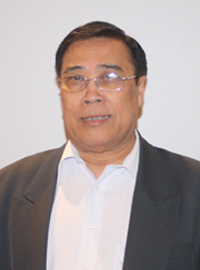 Professor Sangkot Marzuki, is Founding Director of the Eijkman Institute for Molecular Biology in Jakarta (1992–2014). His scientific interest has been in the biogenesis of energy transducing membranes, and related human genetic disorders; an interest he developed during his 17 years as medical faculty member of Monash University in Australia, before moving to Indonesia in 1992 to rebuild the Eijkman Institute. Professor Marzuki holds honorary appointments as a Professor of Medicine at Monash University (Melbourne), Professor of Medical Sciences at the University of Indonesia in Jakarta, and Adjunct Professor of Biochemistry and Molecular Biology at the University of Queensland. For his scientific contribution, he was awarded a higher doctorate from Monash University (1998), doctor honoris causa from Utrecht University (2006), doctor of science honoris causa from the University of Queensland (2010), and received several prestigious Indonesian awards as well as an ASEAN Outstanding Scientist Award in 2005. He received Bintang (Star) Mahaputra Utama of the Republic of Indonesia in 2009, and made a Member of the Order of Australia in the same year.